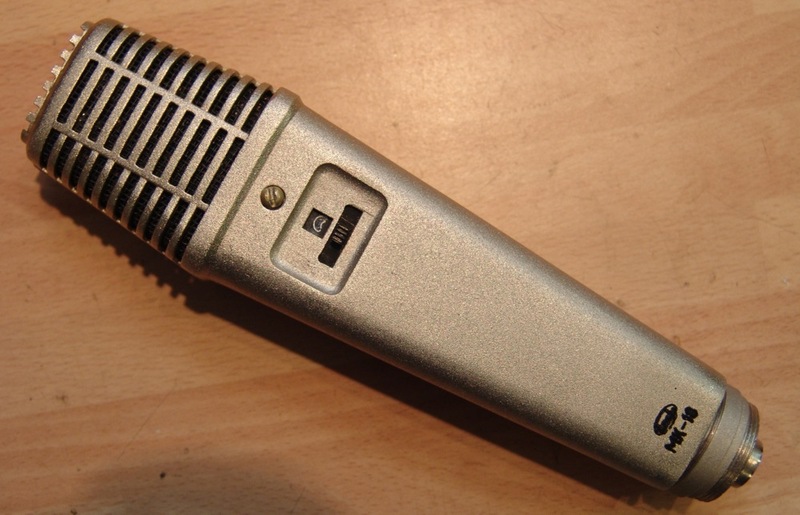 Xaudia offer microphone re-ribboning and repair services. 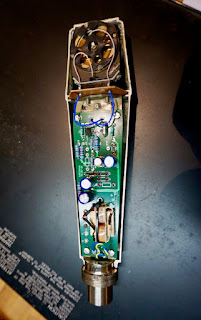 The MK18 is an ancestor of the MK219, so when I came across some circuit boards from Russell Technologies designed for the MK 219, it looked like the perfect opportunity to revisit and rehabilitate these microphones. 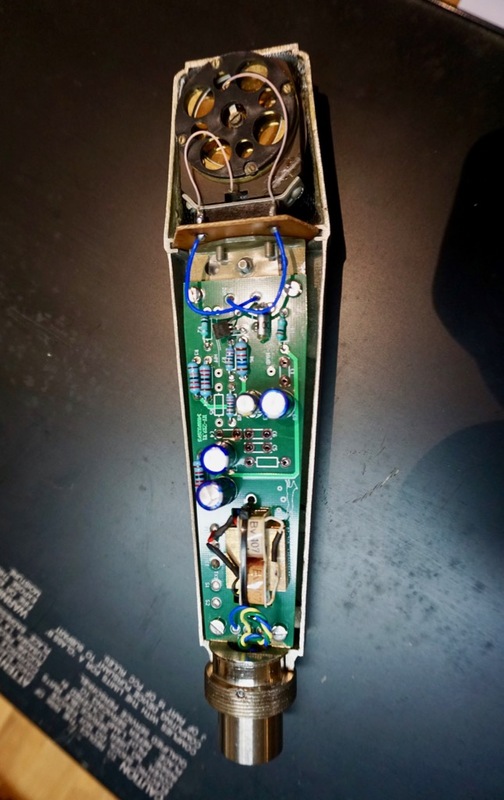 The boards are nice quality and arrived with full instructions, which makes assembly very easy - or at least it would be with the intended MK219. In the case of the MK18 there is some hacking to be done. The capsule mount in the MK18 is longer than that in the MK219, so it needed to be chopped, milled and drilled to fit the board. The MK18 also has a 5 pin DIN output, which was drilled out on the lathe with a 19mm bit to make room for an XLR socket. That done, I discovered that I had lost, sold or binned the original transformers. However, I found a pair of spare BV107s (from Neumann KM84s), which fitted nicely. Against the popular tide, I also added a layer of fine stainless mesh, to keep dirt and damp air away from the capsule. These mics are bright enough, so I am happy to risk losing a fraction at the top end. The result is good. 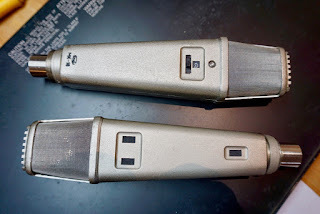 I like the sound and I think they would make a nice pair of overheads or stereo instrument mics. More microphone impulse response files!